“Biochar”, or charcoal intended for use as a soil amendment, has received great attention in recent years as a means of enhancing carbon sequestration and soil properties in agricultural systems. Here we address the potential for biochar use in the context of forest restoration, reviewing relevant experimental studies on biochar use in forest ecosystems, the properties of chars generated from wood waste material, and available data on tree growth responses to biochar. To our knowledge the earliest mention of char use as a soil amendment is actually specifically in the context of forest restoration (in the 1820s in Scotland). Wood waste biochars have an unusual set of properties that suggest their applicability in a forest restoration context: namely, high recalcitrance promoting long-lasting effects, retention of cations, anions, and water, in the soil, sorptive properties that can reduce bioavailability of a wide range of toxic materials, and relative ease of production from locally available feedstocks. A meta-analysis of recent studies on biochar responses of woody plants indicates a potential for large tree growth responses to biochar additions, with a mean 41 % increase in biomass. Responses are especially pronounced at early growth stages, and appear to be higher in boreal and tropical than in temperate systems, and in angiosperms than conifers; however, there is high variability, and field studies are few. The properties of biochars also vary greatly depending on feedstock and pyrolysis conditions; while this complicates their use, it provides a means to design biochars for specific restoration situations and objectives. 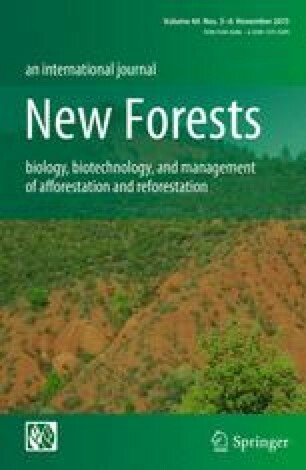 We conclude that there is great promise for biochar to play an important role in a wide variety of forest restoration efforts, specifically as a replacement product for other forms of organic matter and liming agents.